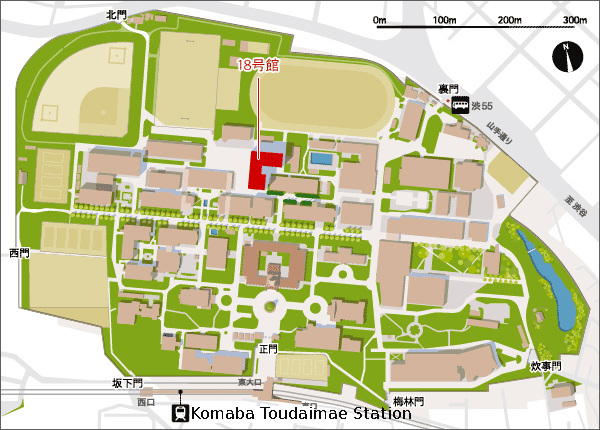 Komaba Campus is best accessed by taking a train on the Inokashira-line from Shibuya station (which is easily accessible on the main Yamanote loop line) to Komabatodaimae station. Please note, express trains do not stop at Komabatoudaimae, so please make sure to take a 'local' train. The campus location on google maps is shown here.